Sitting in IRC, one of the awesome Kubuntu users asked a question. I of course answered the question, and then about 5 minutes later, another awesome user, Toyd, chimed in with THIS LINK. Awesome Toyd, I got a great laugh from this one! If the link is dead, I have uploaded the image to my server and it can be found HERE. 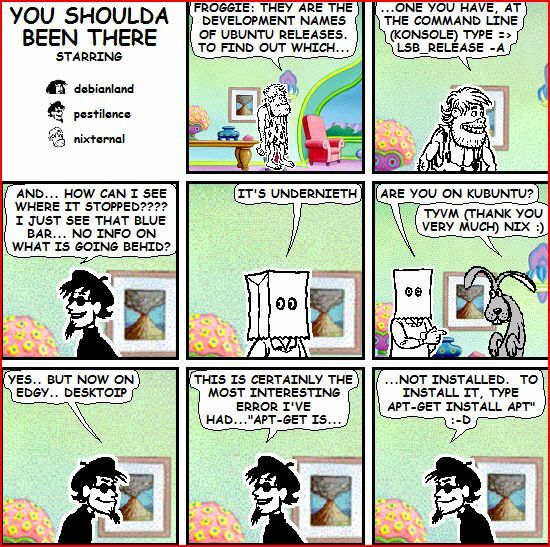 This entry was posted in Linux and tagged Fun. Bookmark the permalink. Post a comment or leave a trackback: Trackback URL.